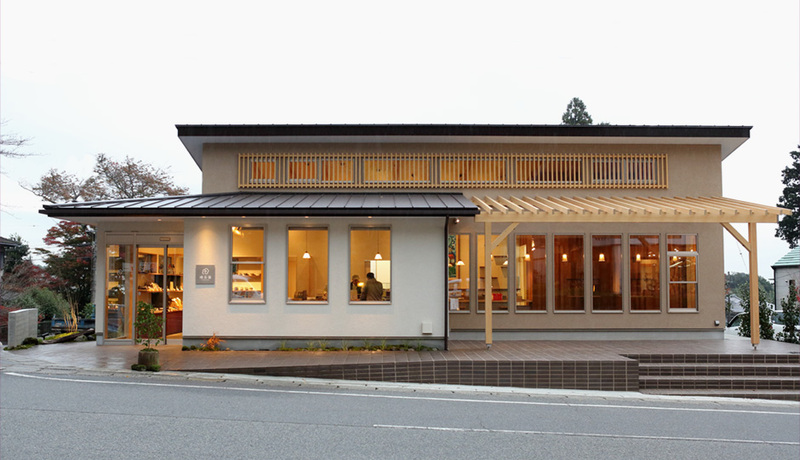 Located along the approach to the entrance of the Tsubaki Grand Shrine in Suzuka-city which attracts 1.5 million visitors a year, the facility consists of a café serving Japanese tea demonstrating how to make tasty tea, as well as a shop selling tea leaves, souvenirs, and local delicacies. ＊After a business proposal was approved based upon The Sixth Industrialisation and Local Production for Local Consumption Law” in February 2016, the café and shop opened in November 2016. It contributes to revitalising the community through creating new industries and jobs in the region. 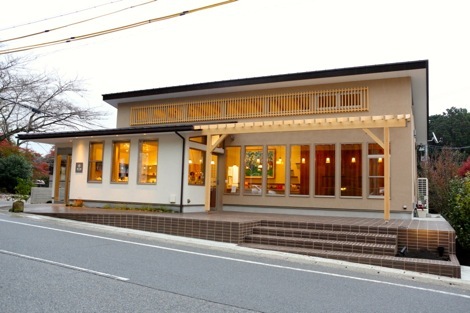 Tsubakisaen is located in Yamamoto-cho of Suzuka-city on the foot of Suzuka mountains. Tea plantations spread across this area, forming the tea-producing district of Ise-cha (“kabuse-cha”), covering the Mizusawa area in Yokkaichi-city and Suzuka-city. 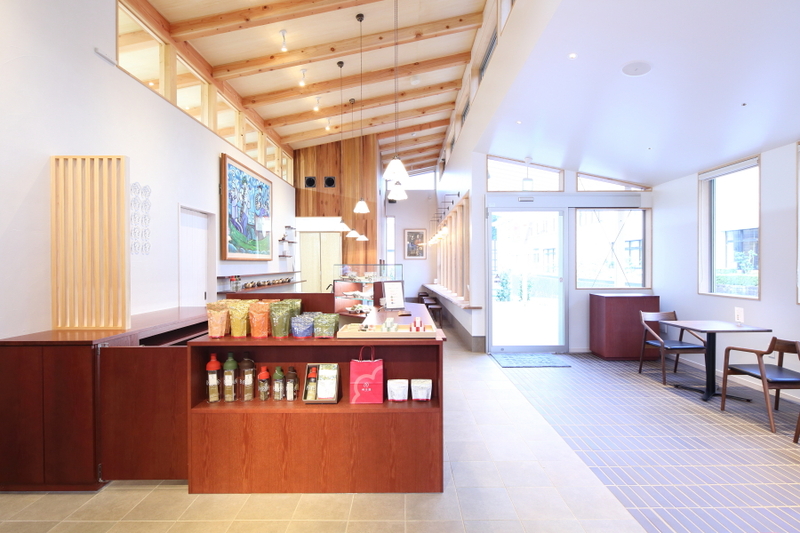 The owner who runs the tea farm was inspired to build “a take-away café serving Japanese tea” as they wished people to enjoy drinking delicious tea. 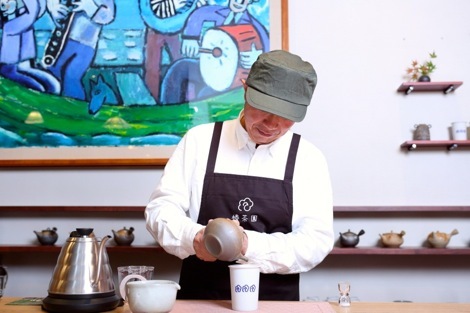 With Japanese tea instructors demonstrating how to make tea in front of customers, the café shows the delicacy of tea served from a tea pot. Sited on the approach to the shine, the pattern of visitor flow is clear. First they walk towards the shrine and worship before they stop for a cup of tea or look for souvenirs. 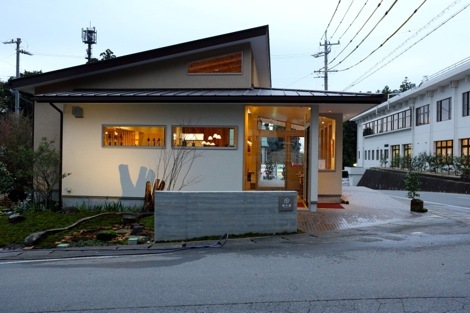 In order to catch the shrine visitors, we focused on the approach to the café and its external appearance. Without using of large windows, the design still allows visitors to notice and see inside without too much effort on their way to the shrine. 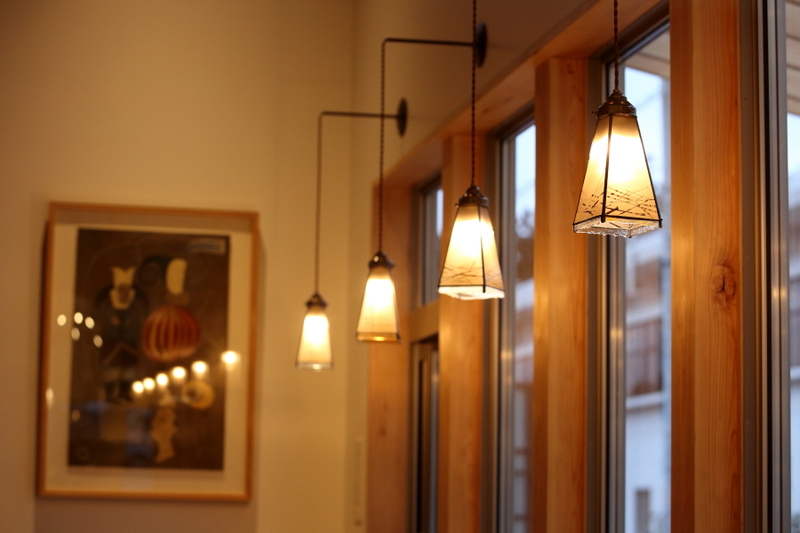 On their return a large glass window reveals the interior of the building, invite them to stop by. Two doorways allow visitors to walk through the building recalling part of the approach to the shrine. The Tsubaki Grand Shrine welcomes many visitors throughout the year, including hatsumode (the first visit to the shrine in a new year), daily visits to the shrine, and omiya-mairi (visits by new-born babies). 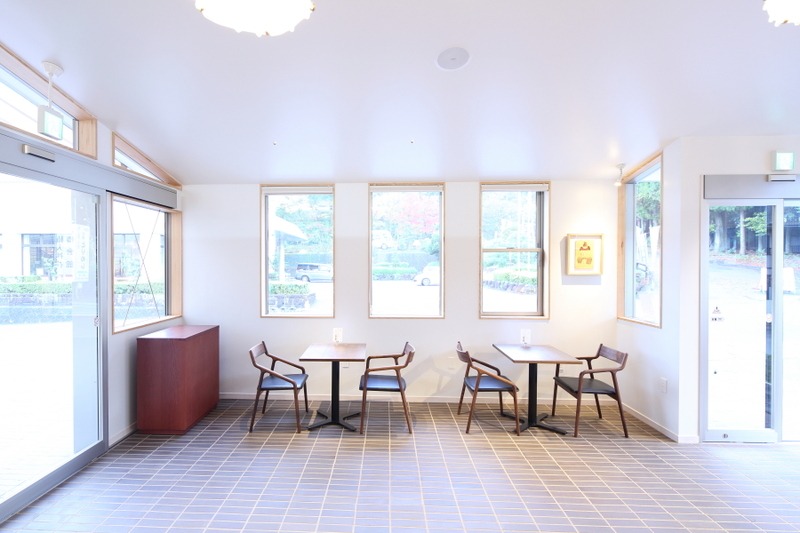 As a space for resting after visit to the shrine, the café consists of a counter for solo visitors to occupy as well as tables for friends and families to sit together. 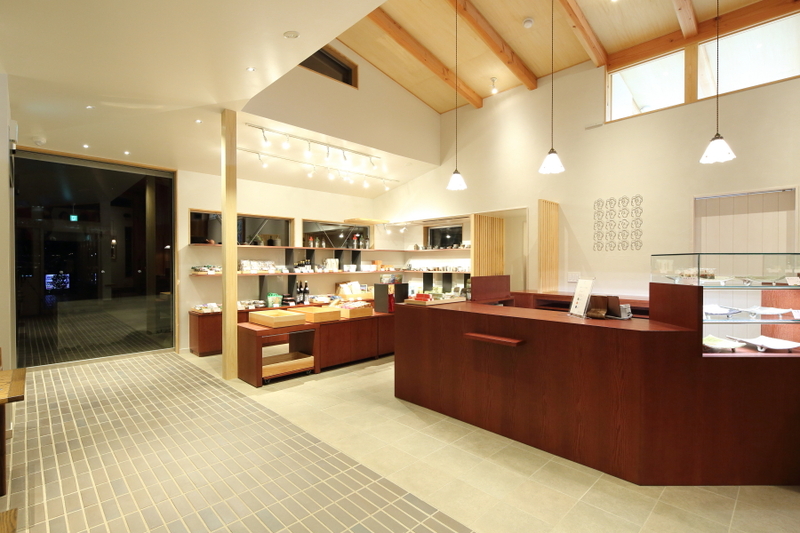 By having a shop and the café in the same space, it allows visitors having a cup of tea to purchase tea leaves as a souvenir (and vice versa), contributing to the overall sales of the business. 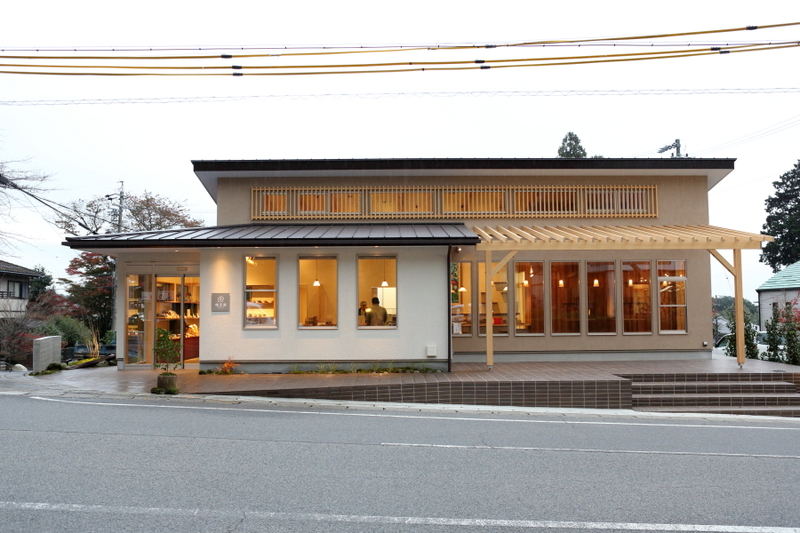 The building serves as a souvenir shop as it is located along the approach to the shrine. 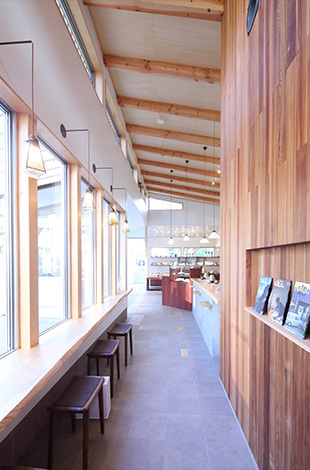 The products sold at the shop include local delicacies to promote the Tsubaki area, while the semi-outdoor space leading to the entrance allows third parties to set up pop-up shops to sell other local products.